The small flange European style rivet nut provides a near-flush installation and is suitable for use in a wide range of sheet materials. They are easy to install and require no special tooling or expertise. 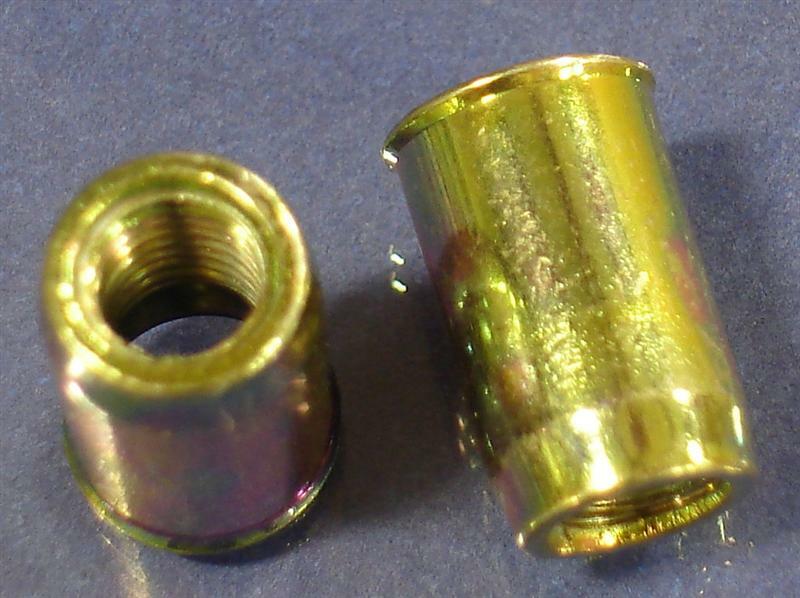 These industrial fasteners are offered by JHP Fasteners in a wide variety of materials and thread sizes. Installation of the small flange European style rivet nut is accomplished via use of hand tools that can be pneumatic, hydraulic, or manual. The installation process is simple, easily controlled, and less labor intensive that other processes associated with nuts and bolts. When properly inserted, the nut will be near flush with the surrounding parent material. The small flange rivet nut has many practical applications and is a common choice when a near-flush insertion is desirable. Selection of the appropriate type of industrial fastener can have a significant impact on the reliability and durability of your product. JHP Fasteners will actively engage with you to ensure that you have all the information needed to make an informed product selection.